For many people, of all ages, the gym is their second home and strength and conditioning (S&C) their passport to toning, shaping up, improving posture and appearance, gaining confidence and ‘booty’. Combining a well designed training program with an energy-rich diet and adequate protein can see weight gains of around 0.25-0.5kg per week if that is your goal. What is involved and who benefits? The broad aim is to gain power, strengthen muscle, tendons, ligaments and joints and to improve flexibility and performance while also correcting problems of strength. The whole body can benefit with the correct training. High intensity intermittent training (HIIT) can be included with strength training to improve circulation, cardiac function and fitness through increased stroke volume and cardiac output. Growth in skeletal muscle and improved metabolism can also be achieved although it is important to talk to your doctor before you begin. Carried out correctly S&C may also be used in rehabilitation programmes for athletes recovering from injury as well as providing the skills needed for injury prevention which is becoming an important focus in a growing number of sports. Results are achieved through a combination of correct diet and sets of exercises of variable volume, intensity and duration with rest periods in between. Quite often athletes want to lose fat and gain muscle simultaneously over a competitive season. However these two goals are often at odds nutritionally because to gain muscle mass requires an increase in energy intake while fat loss usually requires a reduction in energy consumption. With professional help from a qualified S&C coach and Sports Dietitian (who talk to one another) realistic body composition goals and strategies can be set around a clients training schedules and competition. Although energy levels may be high this should not provide an excuse for athletes to ‘pig out’ on high fat, high sugar, nutrient poor snacks and takeaways as this will only slow their progress and endanger their longterm heart health. For years it was thought that eating more protein was the key to optimal muscle-building. However most athletes who are training hard already consume an adequate daily intake. Good progress can be made by distributing high quality protein widely and evenly across the day, including pre and post training meals and snacks, and when combined with carbohydrate. Timing is key. If these foods are taken 2-3hrs before training and again within one hour after training then this can meet both muscle-building and any nutrient needs for recovery. Athletes with small appetites or those unable to eat solid foods prior to training may find it easier to drink their protein and calories in the form of milkshakes; meal replacements; smoothies; fruit juice and sports drinks. Consulting a sports dietitian can help to get this right. Sadly body building, in all its forms, can attract “the cowboys” i.e unqualified instructors selling misleading dietary advice, books, apps, video’s, supplements and overtraining, all of which can lead to a huge loss of form, injury and grief. Extreme care must be taken whatever your age. It’s best to begin with a thorough medical check up and regular tests of heart health, blood glucose and cholesterol levels, renal and liver function and to monitor progress. This advice applies to fitness instructors as much as their clients who may keep up their diet and fitness for many years in order to “practice what they preach”. However as one ages the secretion of hormones and enzymes diminish and nutrient needs can increase. This can change the way sugar, fat and cholesterol etc are metabolised and so diet and exercises practices need regular, independent evaluation and adaption to prevent overtraining and nutrient deficiencies occurring over time. While gyms can be happy, friendly places where people meet and engage in cheeky banter they can also be a good place to hide. Spending hours training can be a very lonely and socially isolating pastime. An excessive preoccupation with body image can lead to obsessive, compulsive disorders. One such example is Muscular Dysmorphia, an eating disorder also known as reverse anorexia or bigorexia which is tied to muscle-building practices. Intense fear of losing weight and withering away. Adherence to unconventional diets and the use of steroids or dietary supplements aimed at increasing muscle mass. While it can be very tempting for young athletes to hit the weights in school gyms during their lunch breaks extreme care must be taken. The competitive careers of young athletes from all sports are often interrupted or permanently derailed by overuse injuries as a result of disproportionate training and repetitive loading of muscles without sufficient rest and recovery. This scenario can be played out when young developing athletes transition too rapidly to higher levels of training and competition. While the pressure may be great to take dietary supplements and ergogenic aids, in order to gain muscle mass quickly and improve performance, this can place athletes on the wrong side of antidoping rules. Athletes wanting to take protein shakes, pre-workout shakes, energy drinks, herbal remedies or vitamins should check first with their doctor or sports dietitians. It could be all that is required is a change in diet or exercise plan in order to get better performance. While it may be cheaper to buy nutritional products over the internet, not knowing the contents of a supplement will not be sufficient defense for any athlete caught doping and can earn them a 4 year ban on sport which could damage their reputation and opportunities in the future. Supplements can be cross contaminated by other substances during manufacture or by the company to ensure users get results. If you would like to have a nutritional assessment to check your current diet is matching your sporting goals then contact us today. 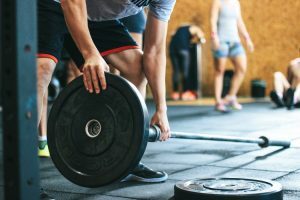 Sports Dietitian’s Australia Fact sheets Increasing muscle mass. Bergeron.M, Mountjoy.M, Armstrong.N, Chia.M, Cote.J, Emery.C, Faigenbaum.A, Hall.G, Kriemier.S, Leglise.M, Malina.R, Pensgaard.A.M, Sanchez.A, Soligard.T, Sundgot-Borgen.J, Van Mechelen.W, Weissensteinger.J.R, Endebretsen.L. International Olympic Committee consensus statement on youth athletic development. Br.J.Sports Med.2015 49:843-851. Leone.J.E, Sedory.E.J, Gray.K.A. Recognition and treatment of Muscular Dysmorphia and related body image disease. J.Athletic Training 2005 Oct-Dec, 40 (4) 352-359. Previous Brain food Part 1: Are you suffering from Baby brain? Next Iron makes us happy- are you getting enough?